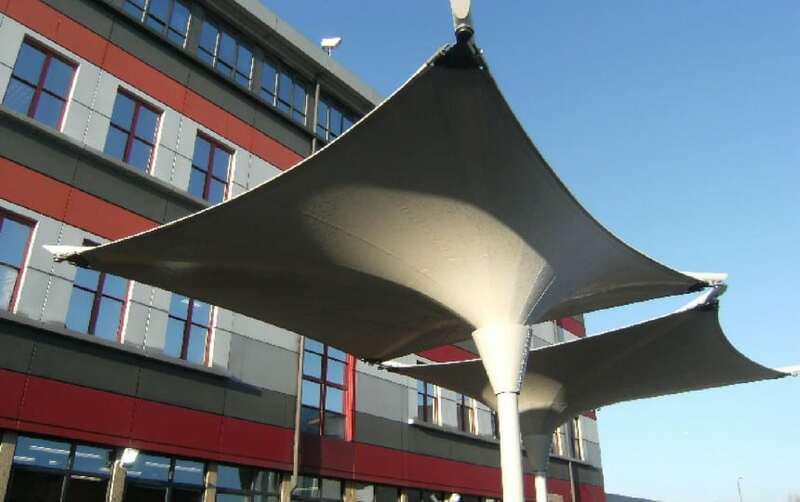 Architen Landrell is pleased to offer a range of economically priced tensile fabric structures which are easy to specify and order. Below is a list of common questions we get asked about our Standard Structures. What fabrics can I have? We offer a choice of PVC coated polyester and silicone coated glass cloth for all of our structures. Both are watertight and high quality but offer different translucency, colour options and durability. For those of our structures which require lightweight fabrics there is a range of colour options available. How child proof are the structures? All of our structures are designed to be as child friendly as possible. We strive to create structures which wont harm or be harmed by children! What happens to rainwater on the structure? Most of our structures channel water to the perimeter of the canopy and then let it run off naturally. For some structures we can install a diverter or gutter which will redirect the water to the ground and out of the way. How long before we will have our canopy? The average structures takes less than 6 weeks to manufacture and install perfect for installing over the summer holidays! How easy is a structure to install? Our structures are designed to be quick and easy to install by our team of trained personnel. For temporary structures we can show you how to erect and dismantle your canopy and provide written instructions to make it as simple as possible. Not all types of structure will require planning permission but we would advise you check with your local planning authorities before placing an order. We can provide drawings and further information to support your planning application if necessary. How easy will my structure be to maintain? Tensile fabric is not difficult to maintain at all. We recommend an annual inspection and maintenance for all our structures just to make sure all is working properly and it looks as good as new! Our prices allow for the complete structure above ground. The most commonly overlooked cost is the design and construction of foundations. We will supply engineering analysis information to your ground works contractor, enabling them to supply the foundations. As Sales Manager, Amy has a wealth of experience and knowledge and is able to make recommendations on design and price jobs.